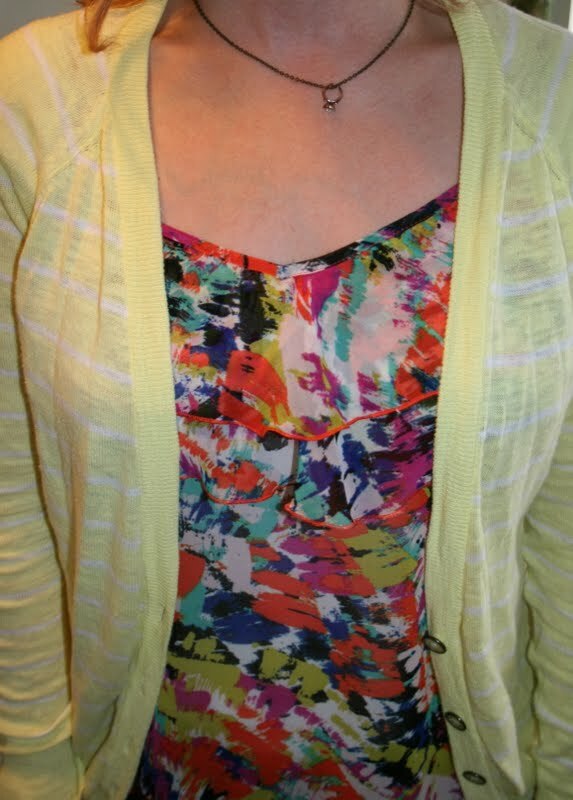 Tricia's Take: OOTD- Floral and yellow! This screams spring. Hope it perks you up with that crappy weather you are having there. 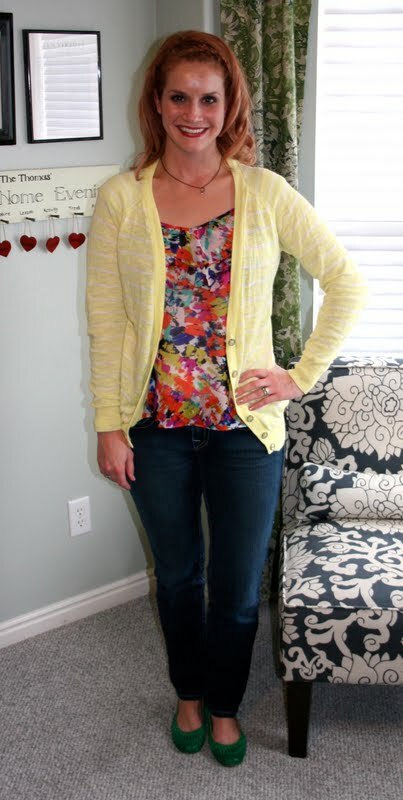 I like your use of color with the outfit and especially the green flats-adorable! great floral top - I am so into the floral this spring!! I also got a Baekgaard tote bag for $12!! haha -they retail $98. I thought you could appreciate my handbag love! It's Tiffany blue! When they got it, they got it. Right now F21 is finally putting out some "longer" skirts in addition to their micro minis and some great colorful tops. I especially love your green flats! That top is adorable! I agree, F21 has some nice things this summer! Love this outfit! And love that you find great things at F21 -- I never can! I'm always too dang overwhelmed in that store. Just find your blog and you are so gorgeous! I love F21 but man their skirts and dresses are so short. It drives me nuts! newest follower and sharing some Mormon Fashion blogger love.